Read below how you can participate and be enter to win these prizes. 1) Join the Carrot Cares challenge! Document it! Take a video or picture, or send us a note to tell us your story! Post the video or picture on Instagram or Facebook. Use hashtag #carrotday and tag us! The top 3 lucky winners will get free Carrot swag and 1st place will get a secret prize! 2) Join the Carrot Bud photo contest! 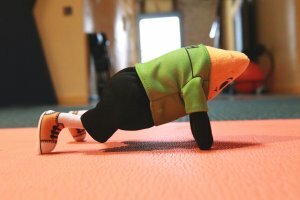 Take a picture of your Carrot bud in a creative pose or situation! Share your pic on Facebook or Instagram and hashtag it with #carrotday! 3) Join us for a LIVE Q&A and celebration on Ask Carrot, Thursday at 1 PM PST! Carrot Day was founded 2003 to spread knowledge about the carrot and its good attributes around the world. 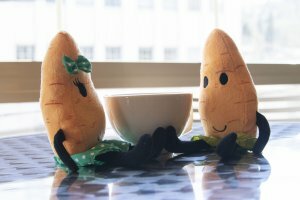 The International Carrot Day is celebrated every year on April 4th and is the pinnacle for carrot lovers all around the world. It is the day when the carrot is celebrated through carrot parties and other carrot-related festivities. A medium-size carrot has 25 calories, 6 grams of carbs, and 2 grams of fiber. The veggie is an excellent source of vitamin A, and are loaded with beta-carotene!